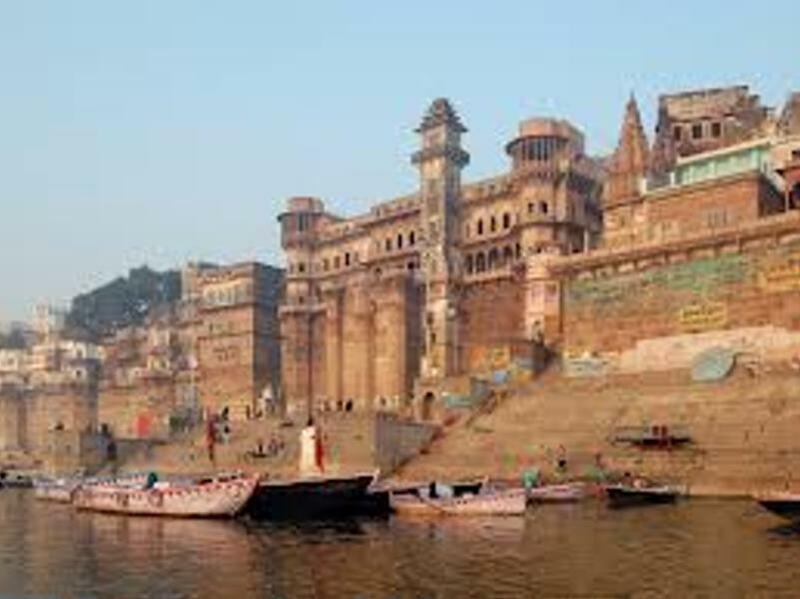 Varanasi, also known as, Benares, or Kashi, is an Indian city on the banks of the Ganga in Uttar Pradesh, 320 kilometres south-east of the state capital, Lucknow. 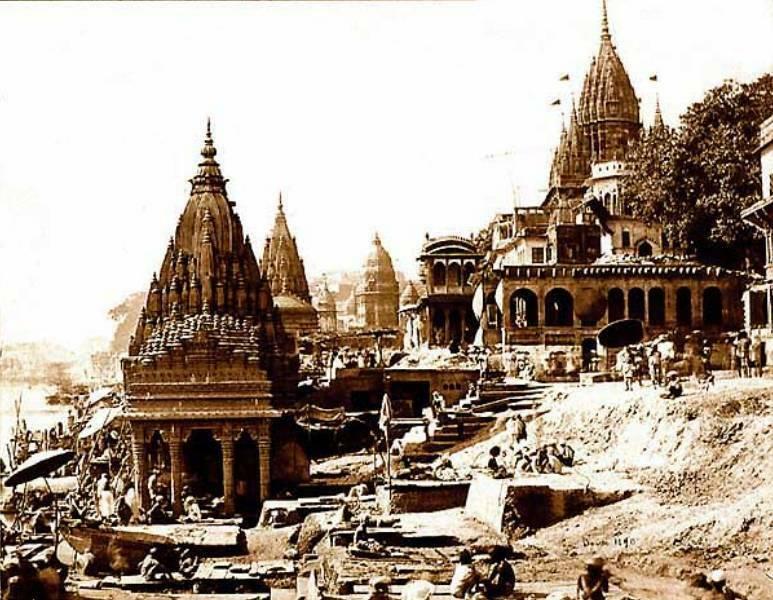 It is the holiest of the seven sacred cities (Sapta Puri) in Hinduism and Jainism, and played an important role in the development of Buddhism. 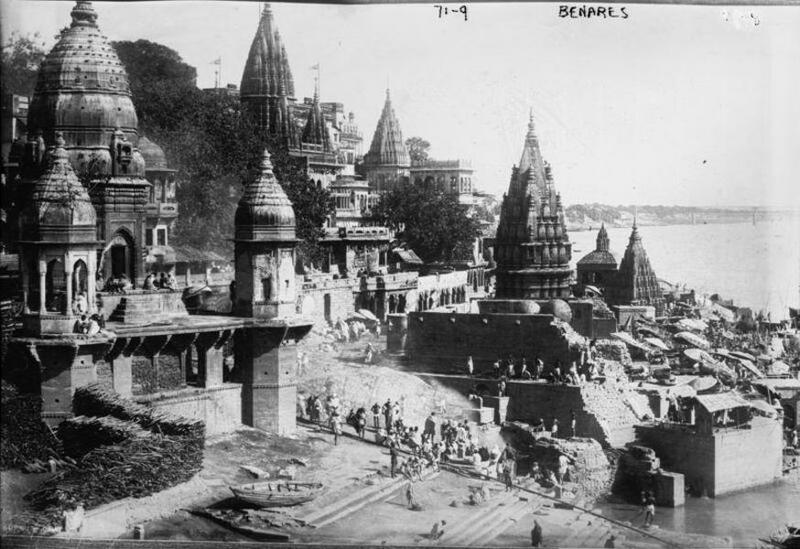 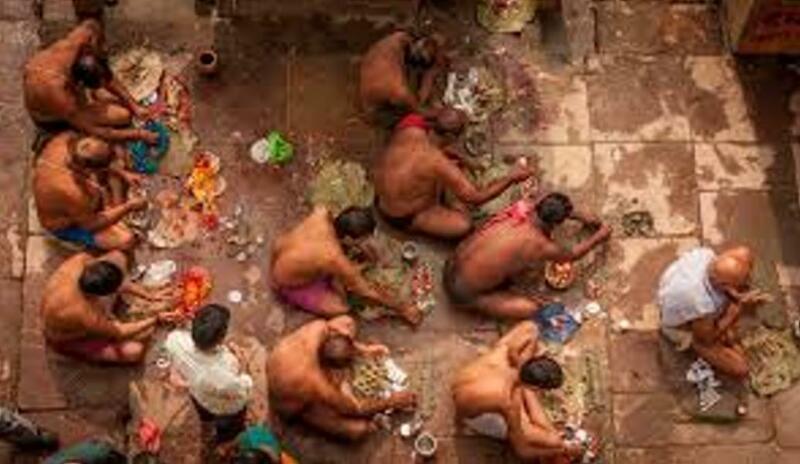 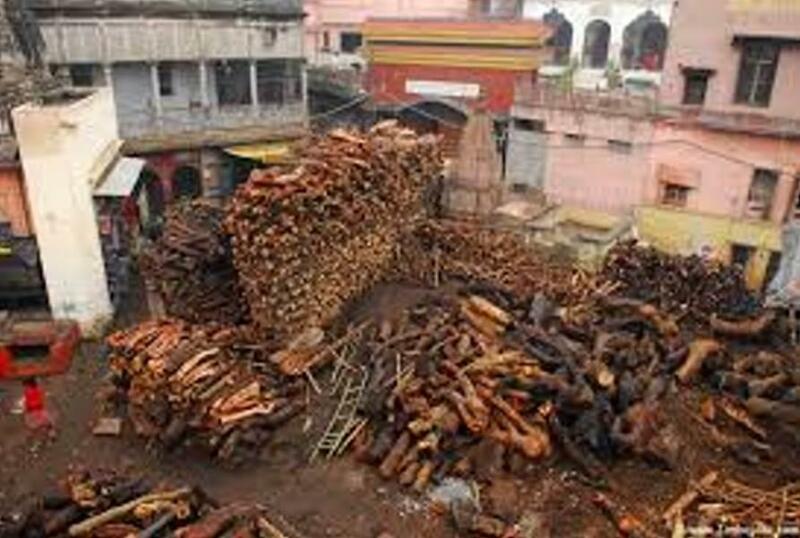 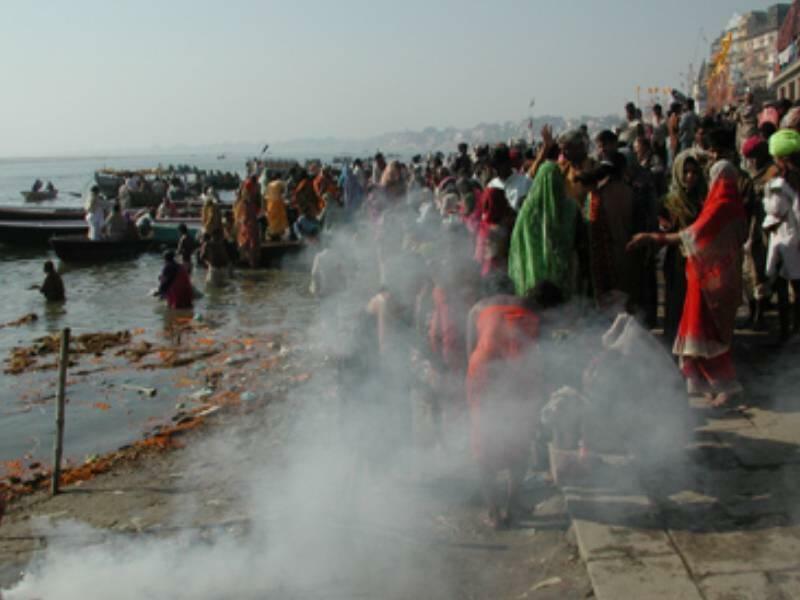 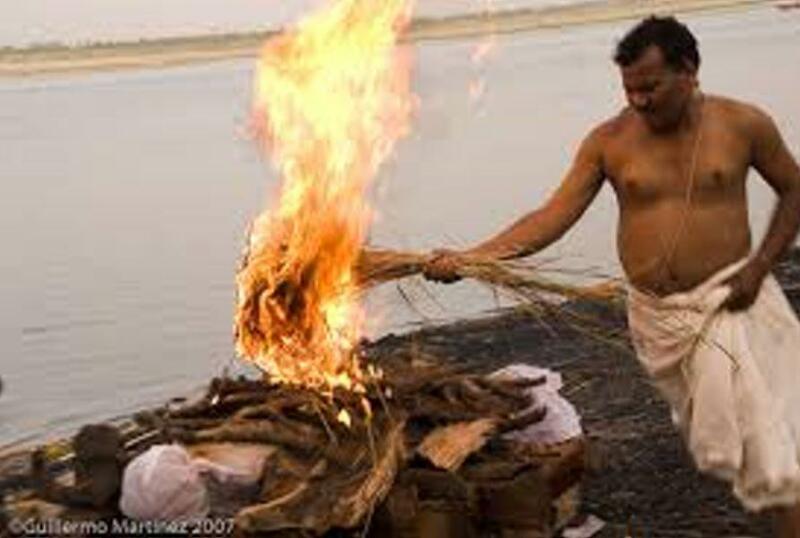 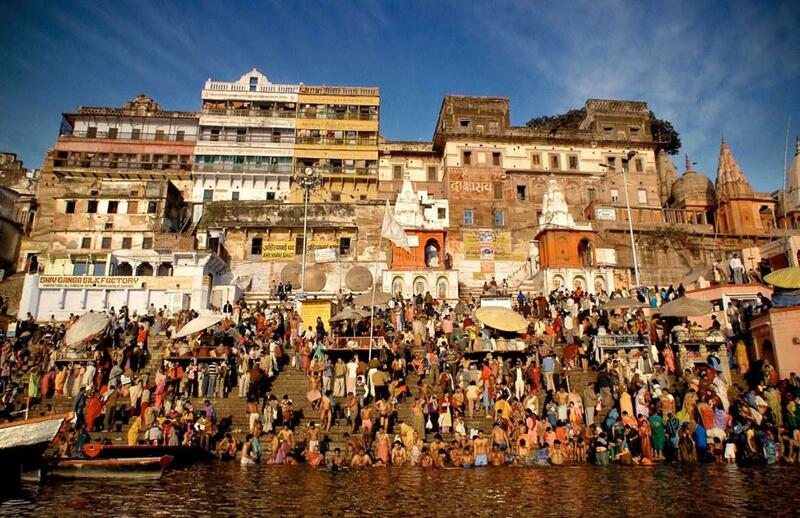 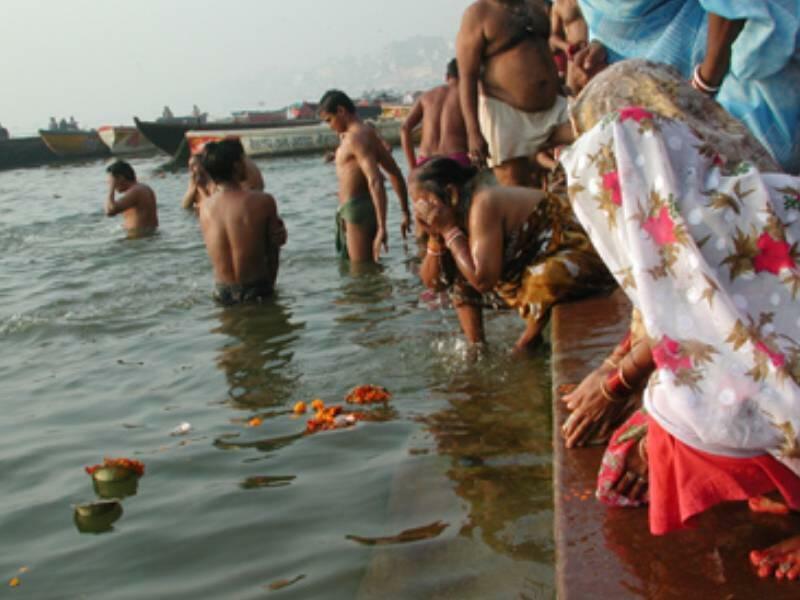 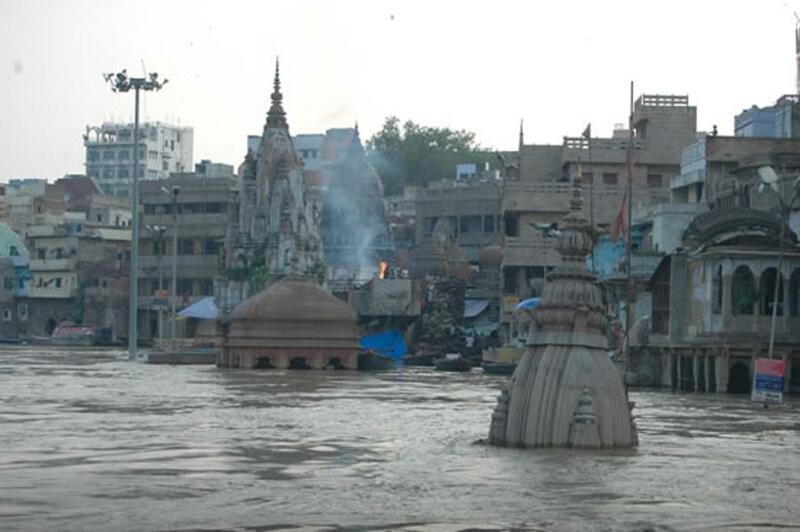 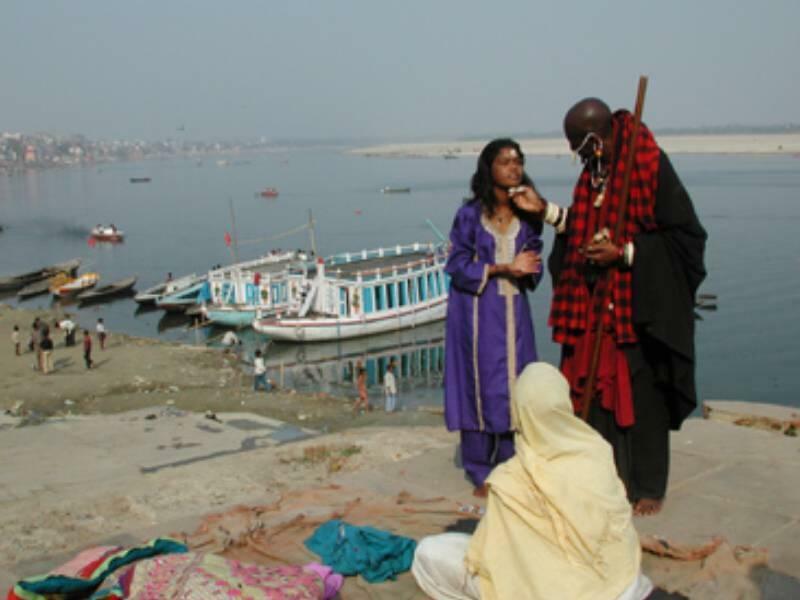 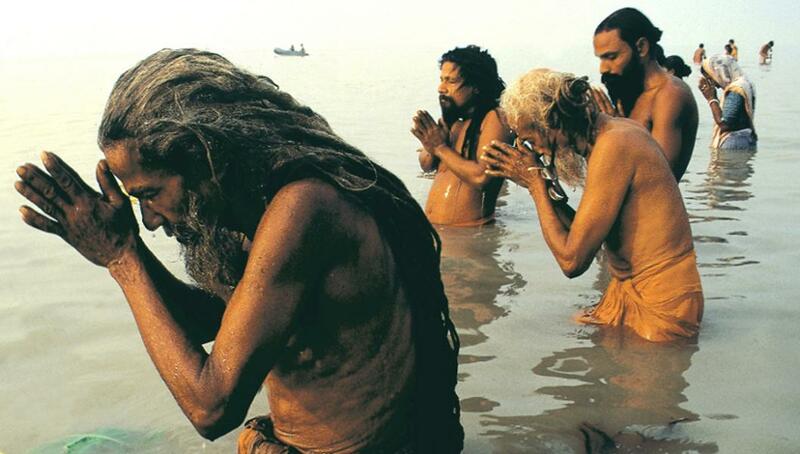 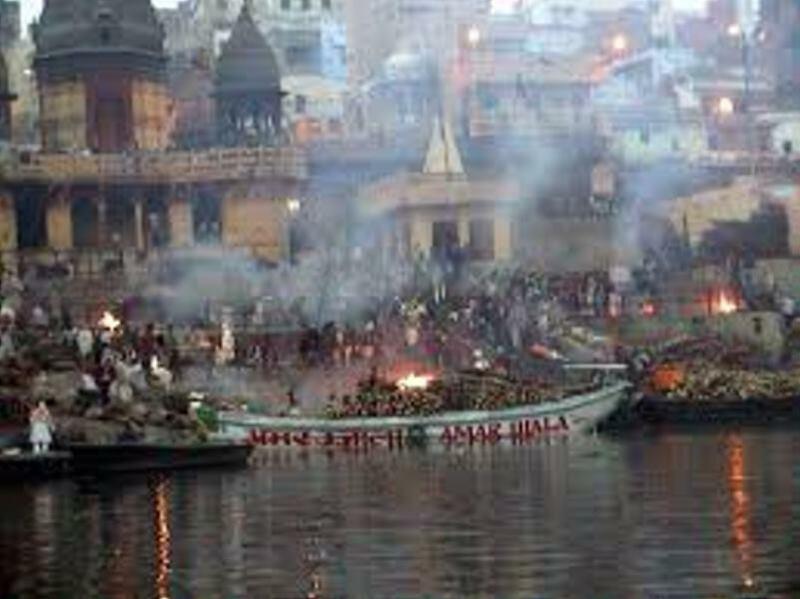 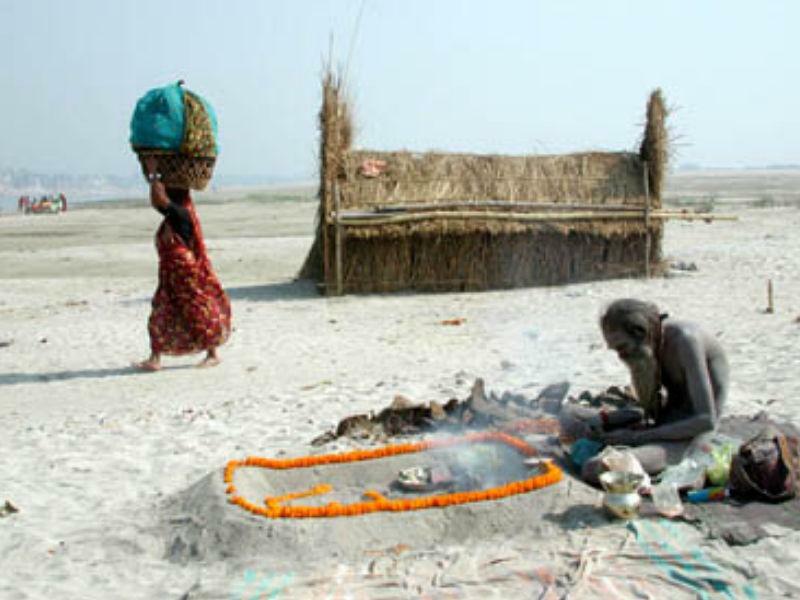 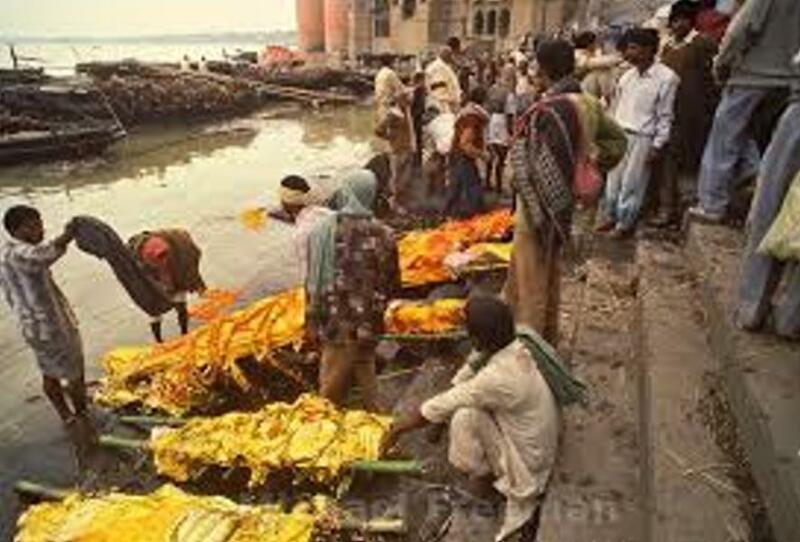 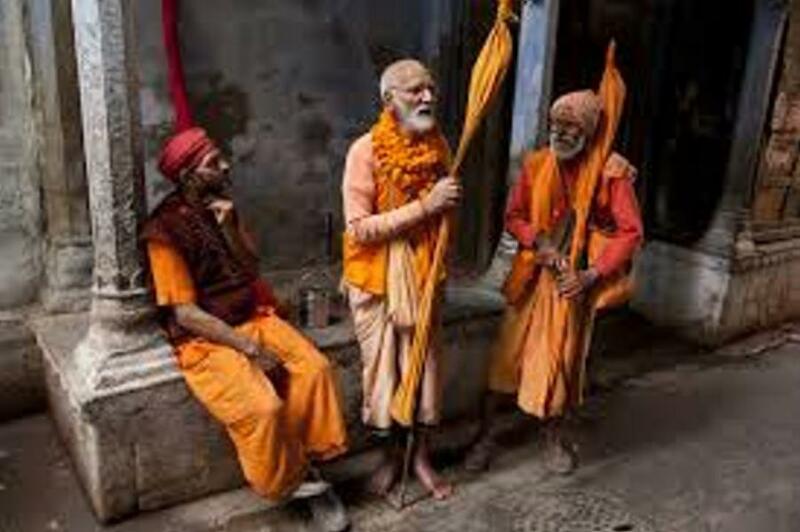 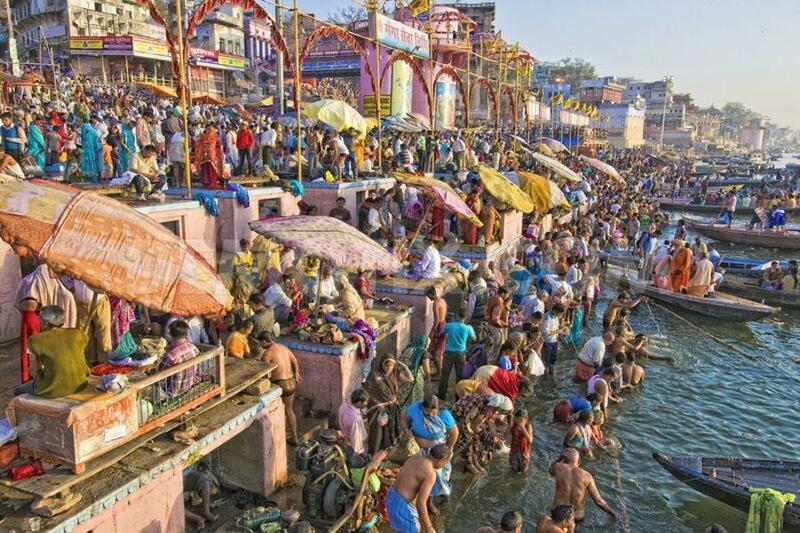 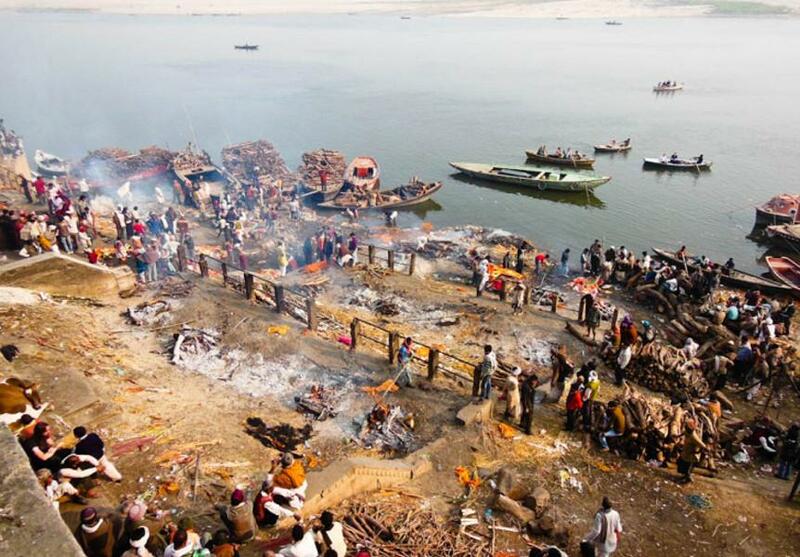 Some Hindus believe that death at Varanasi brings salvation. 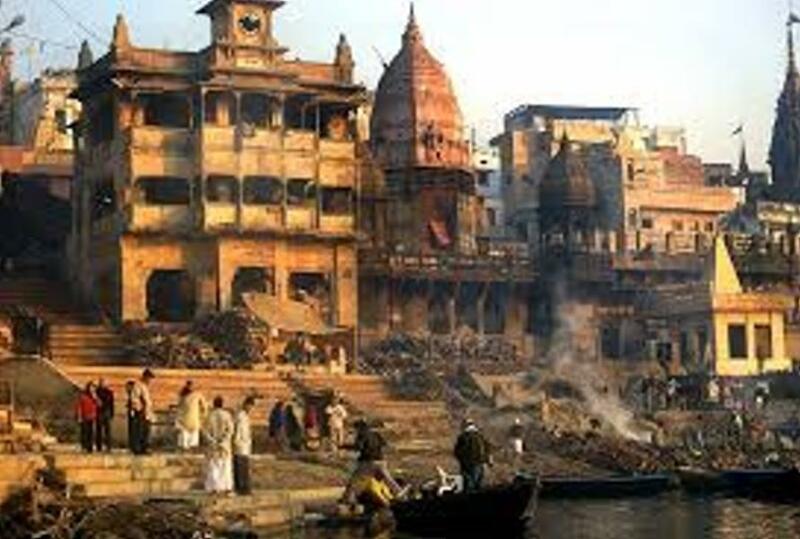 It is one of the oldest continuously inhabited cities in the world. 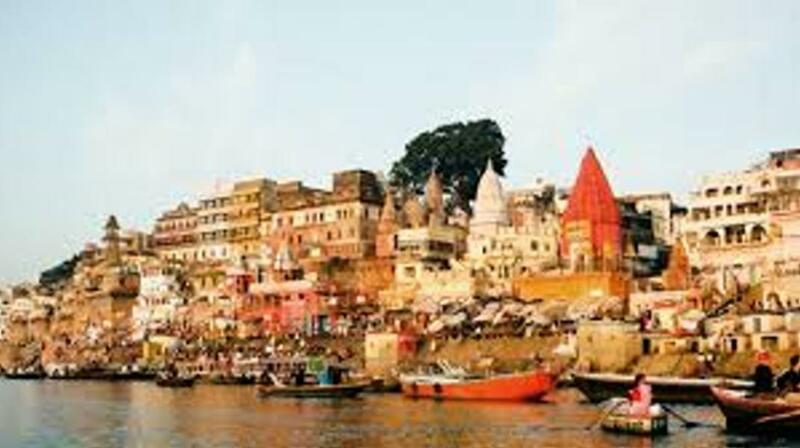 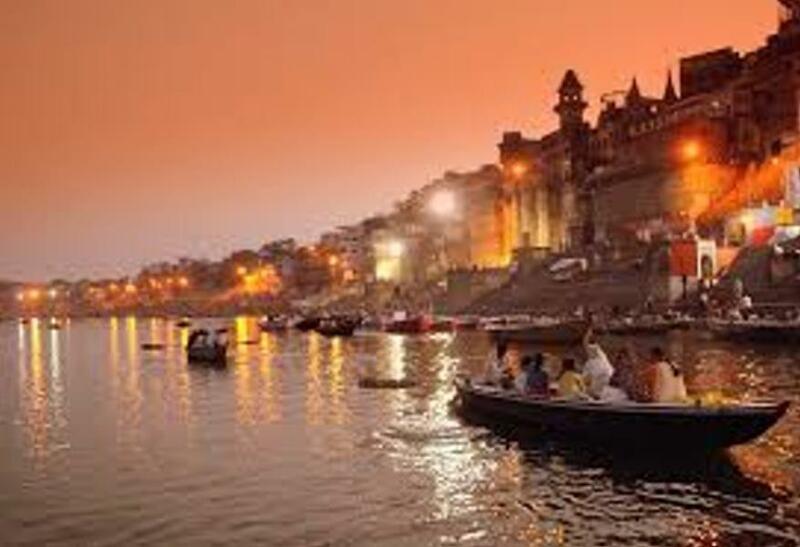 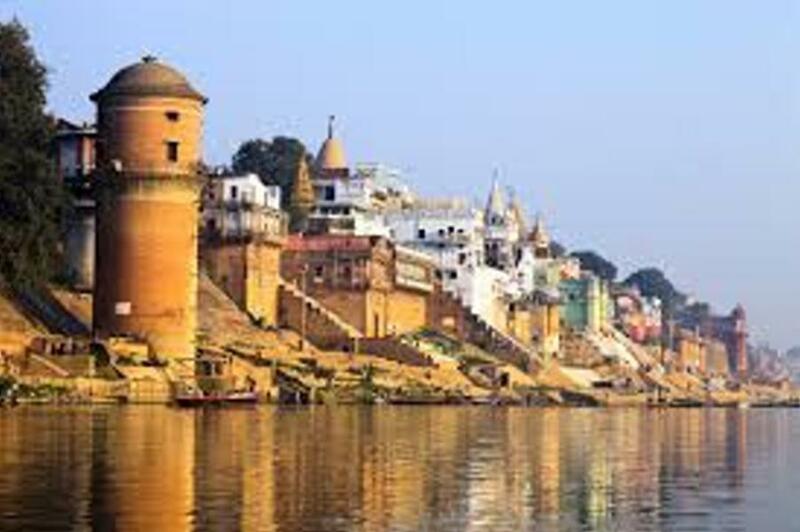 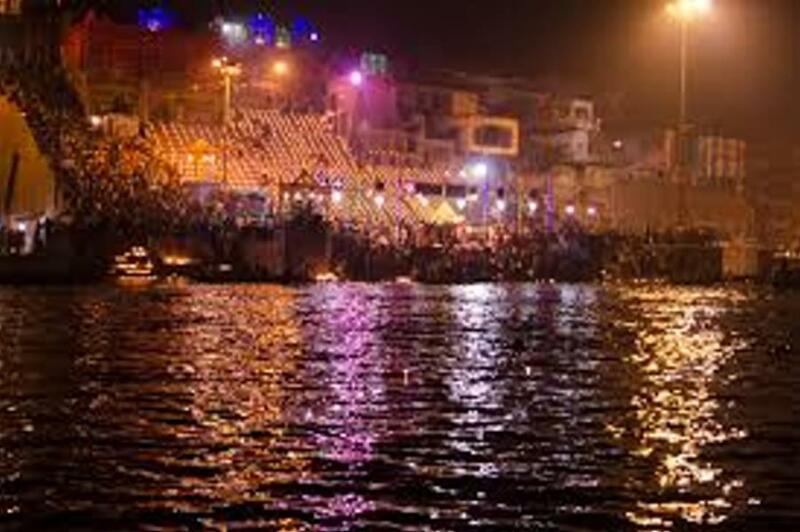 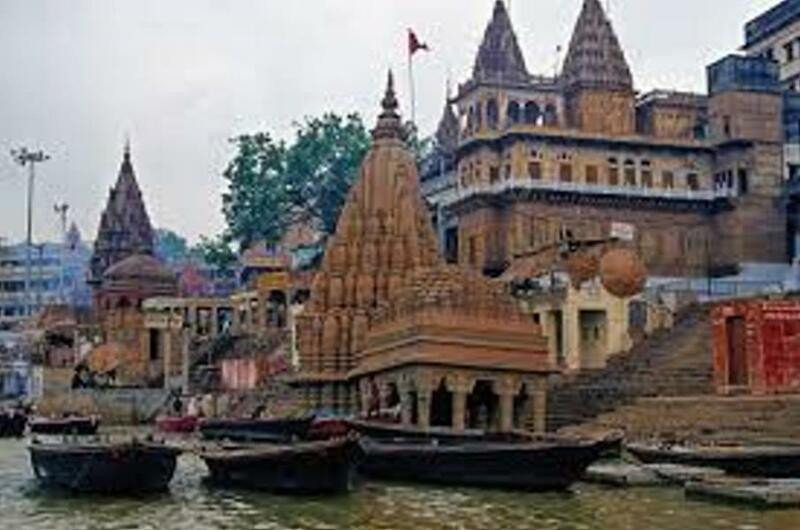 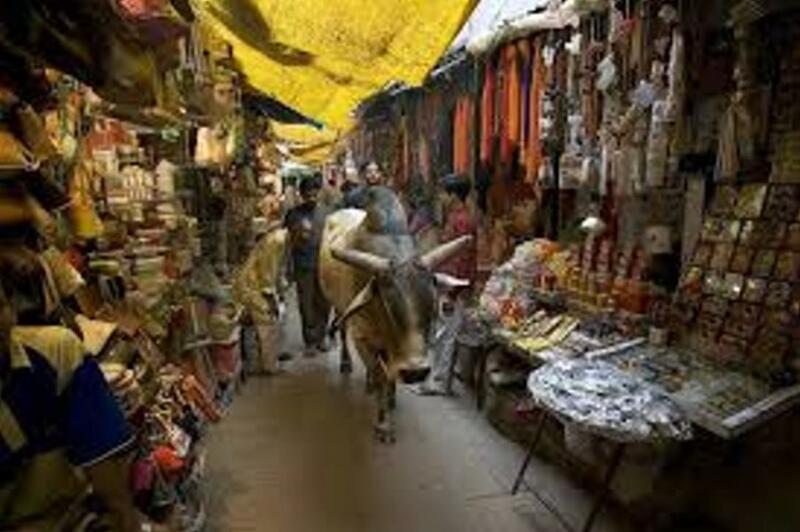 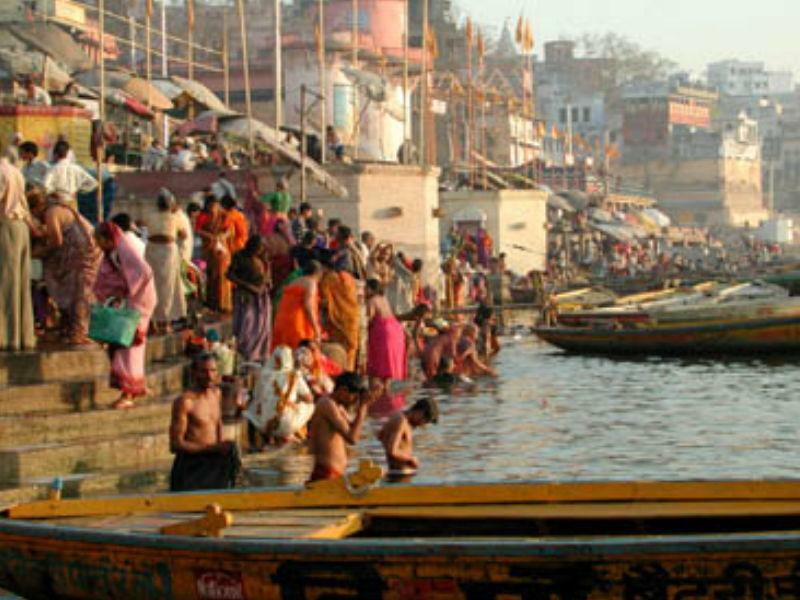 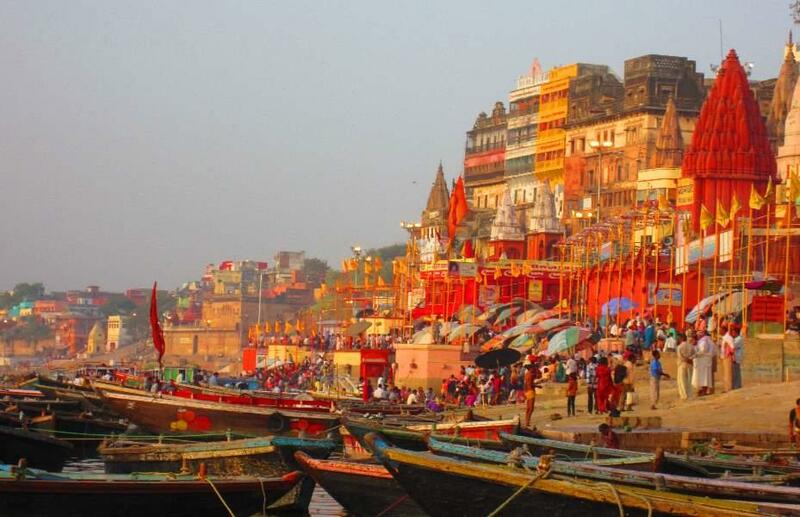 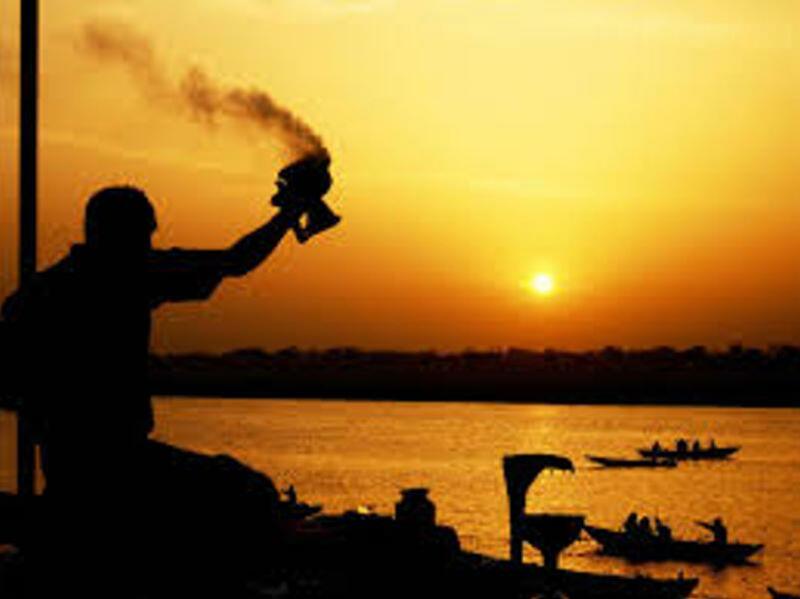 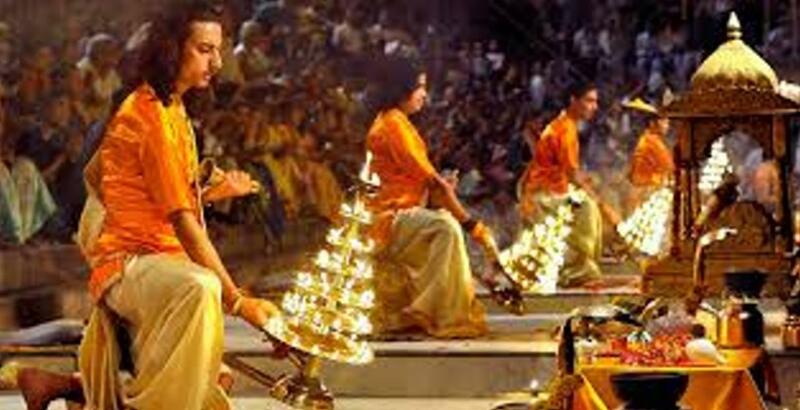 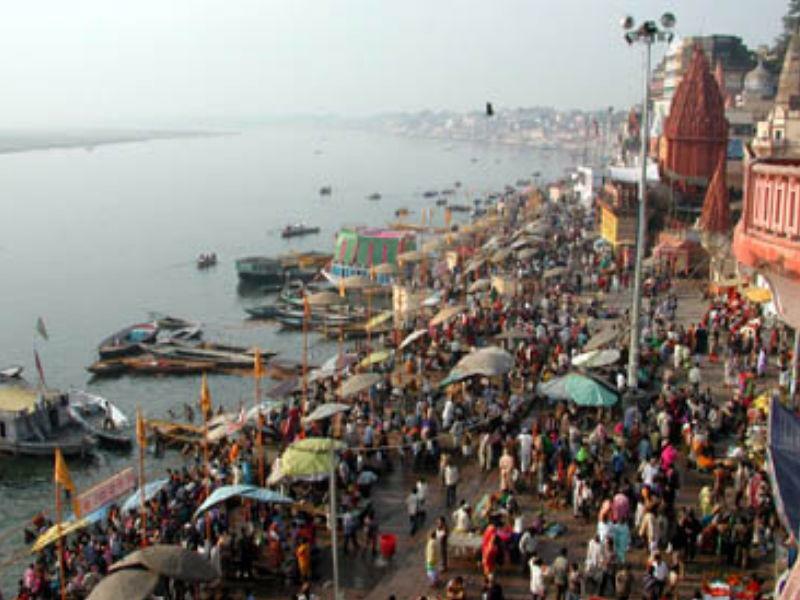 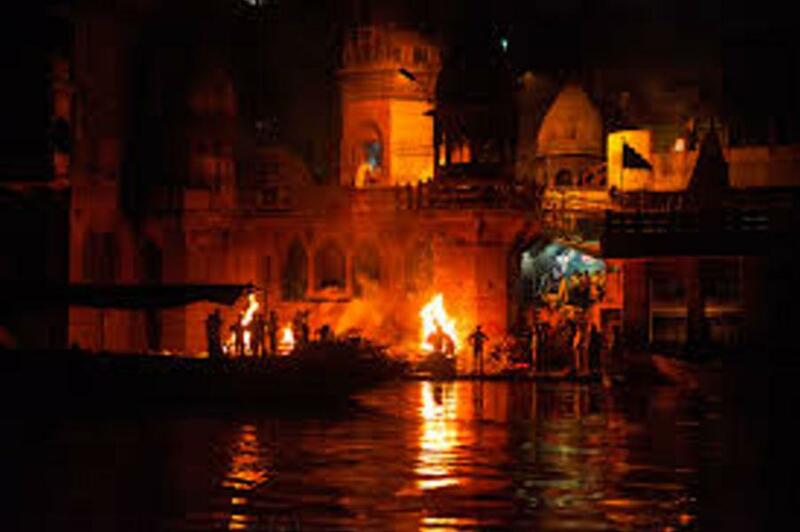 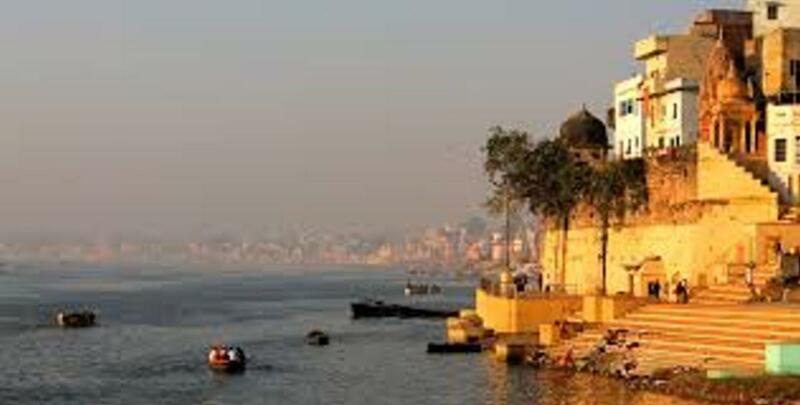 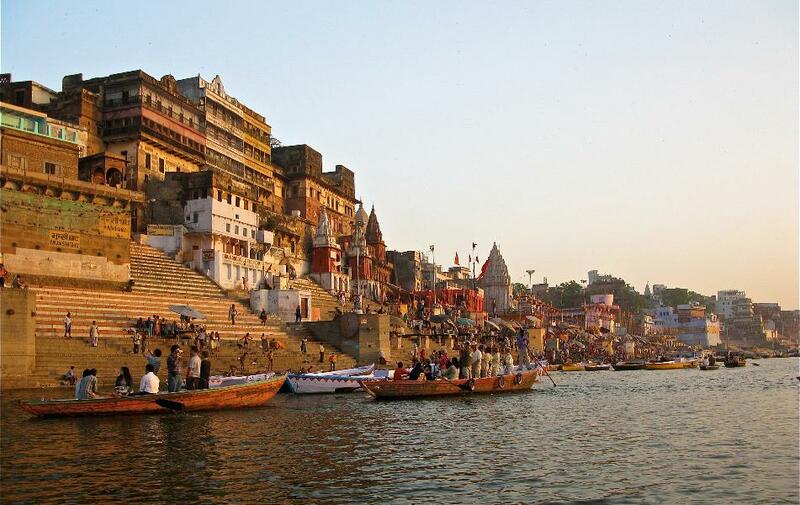 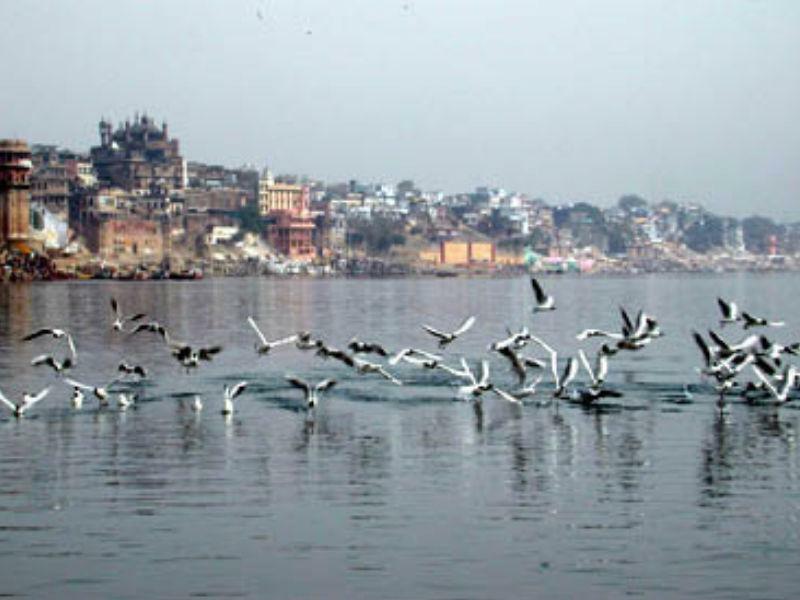 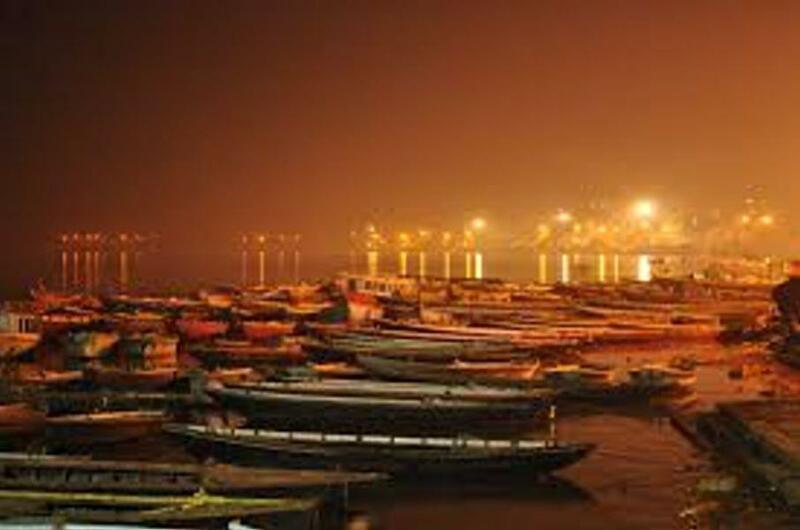 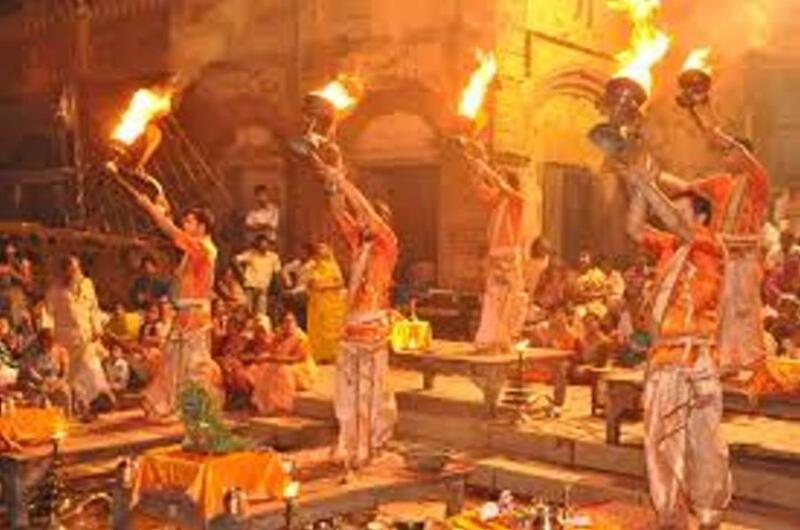 Varanasi is also known as the favourite city of the vedic deity Lord Shiva as it has been mentioned in the Rigveda that this city in older times was known as Kashi or "Shiv ki Nagri". 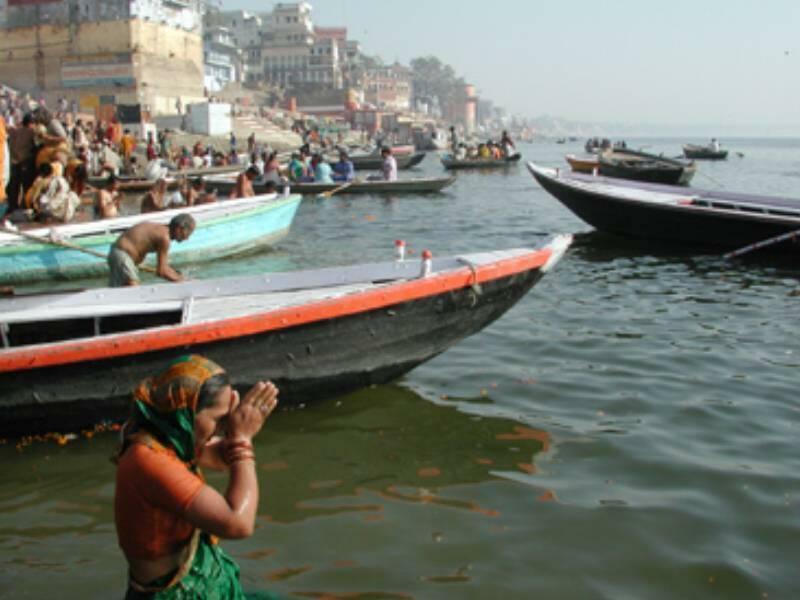 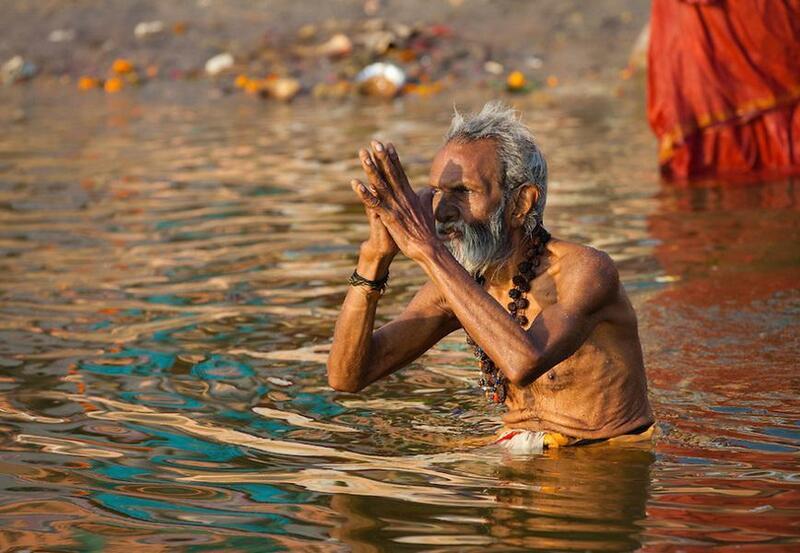 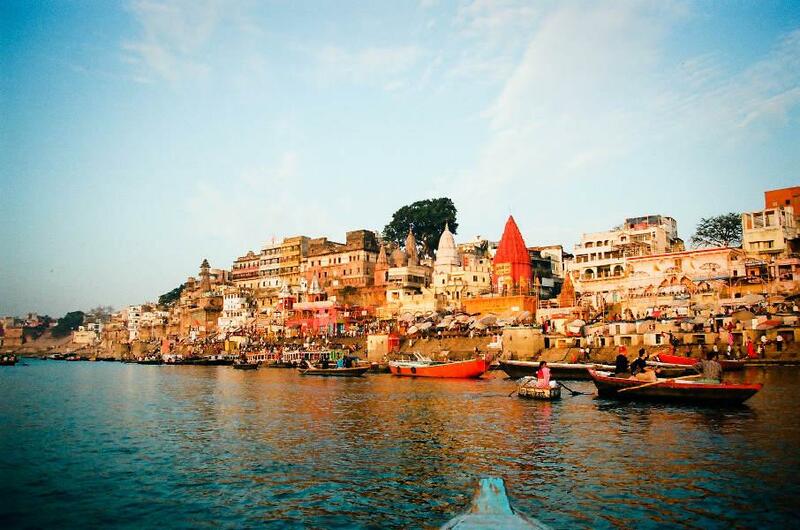 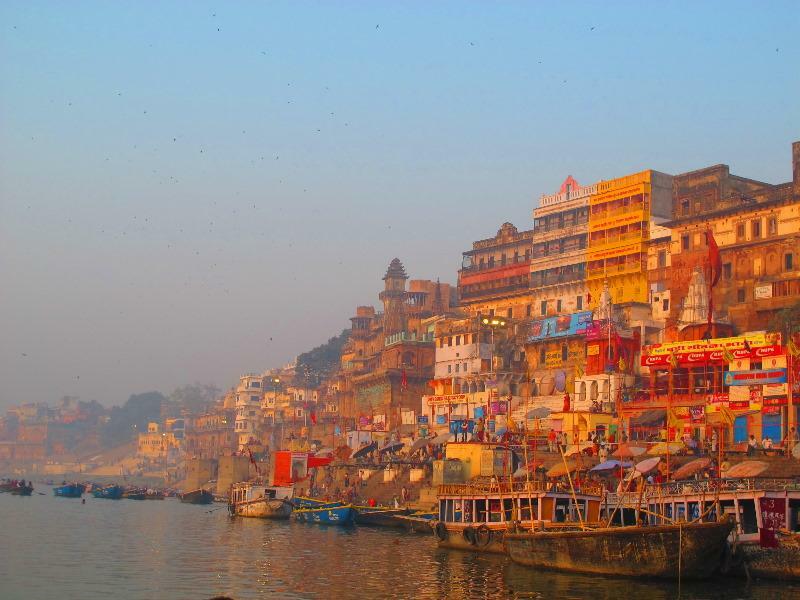 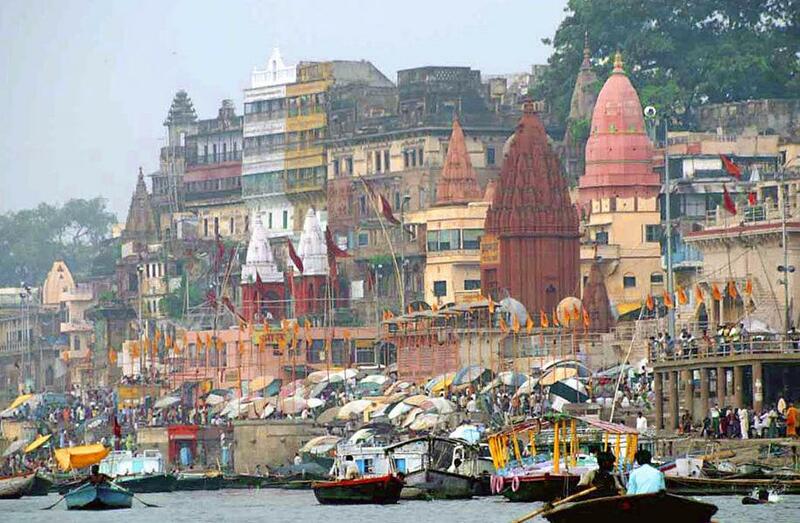 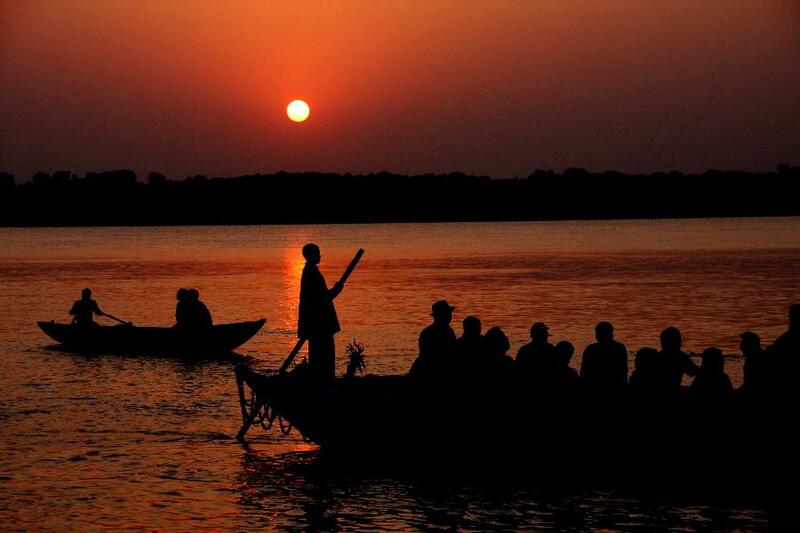 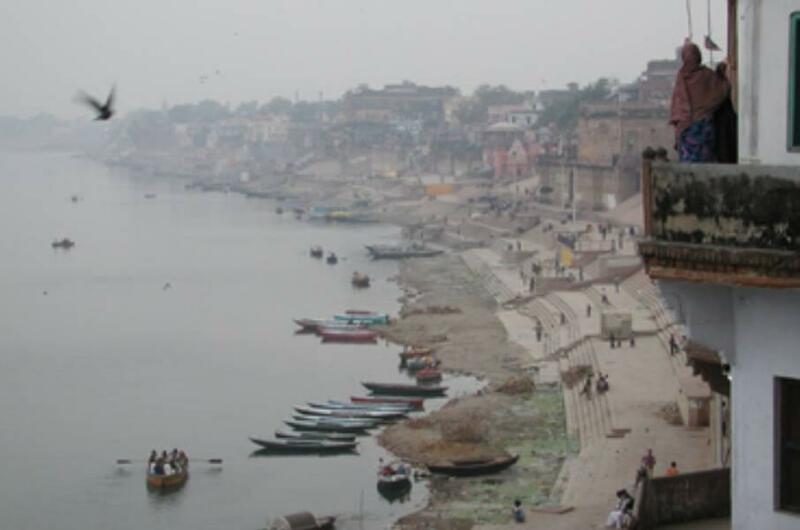 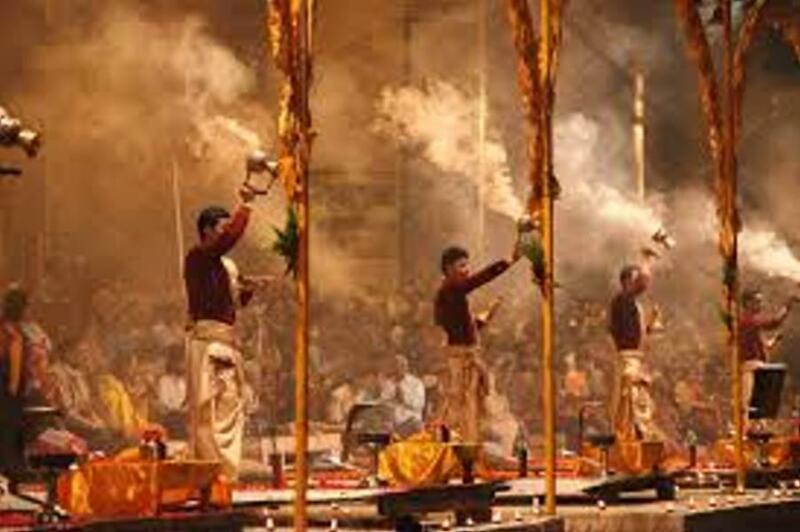 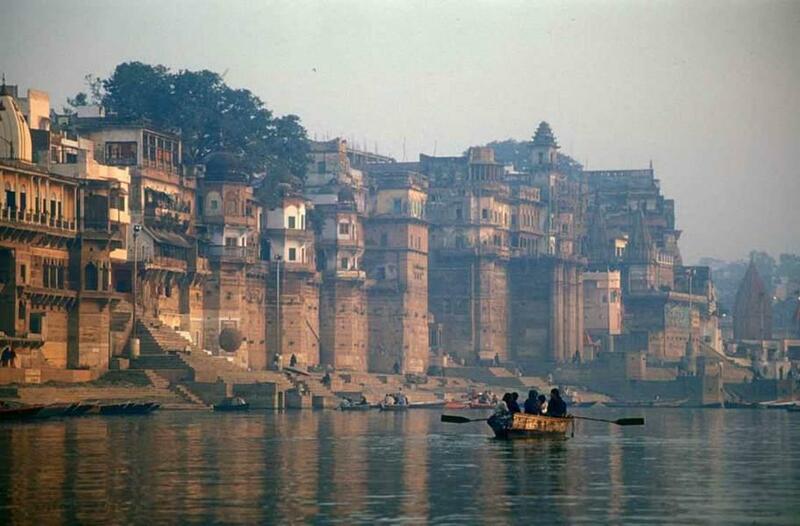 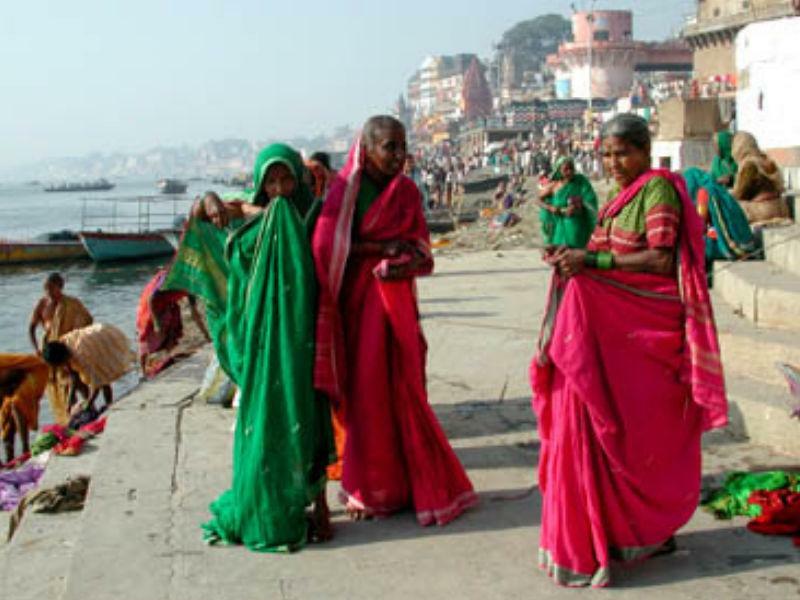 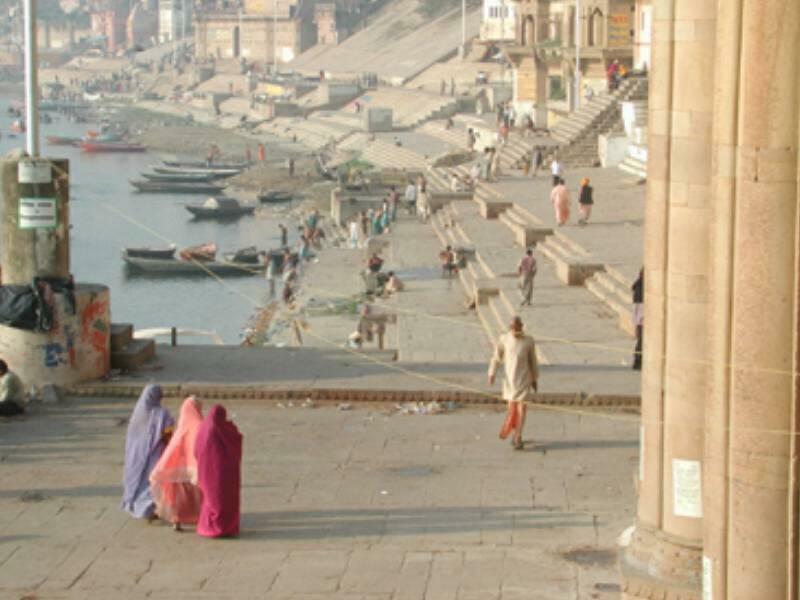 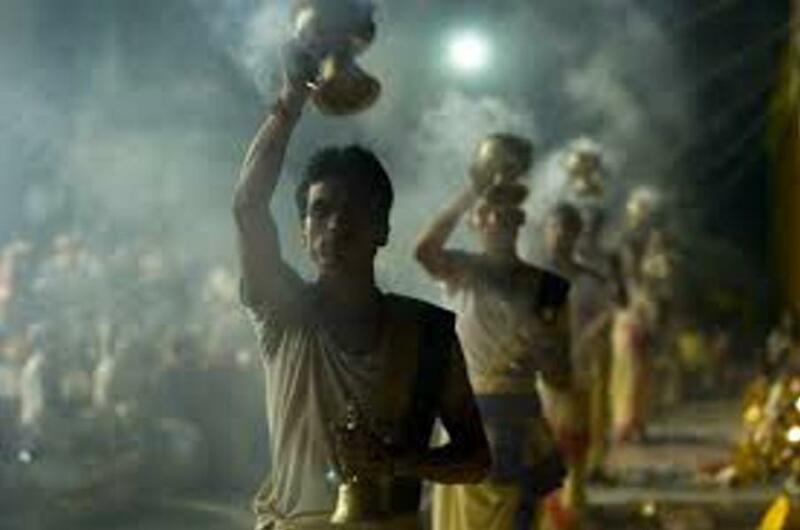 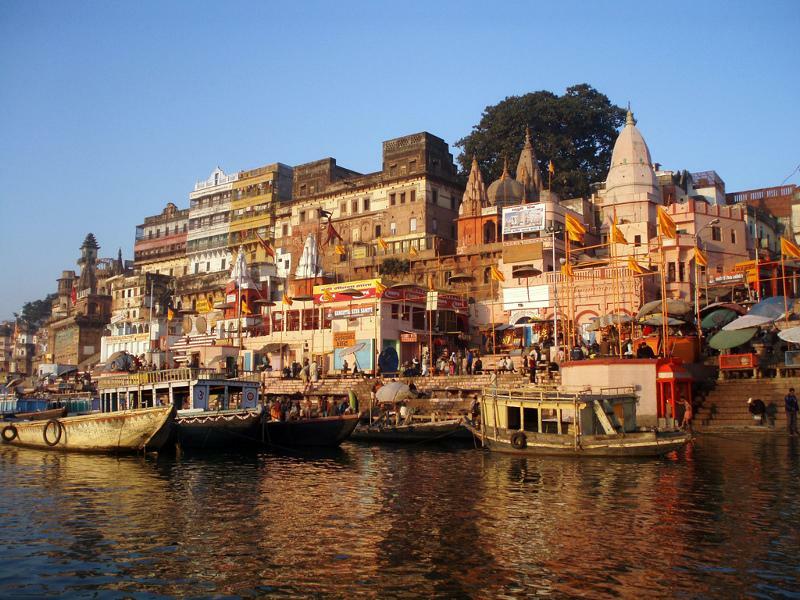 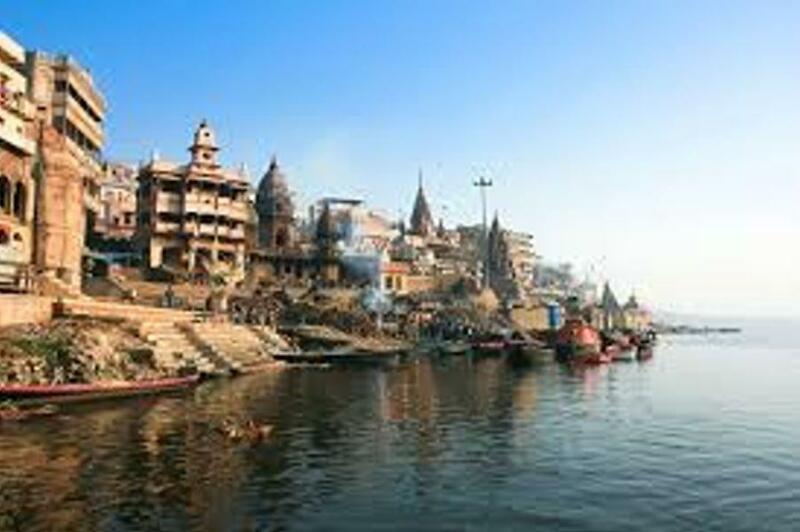 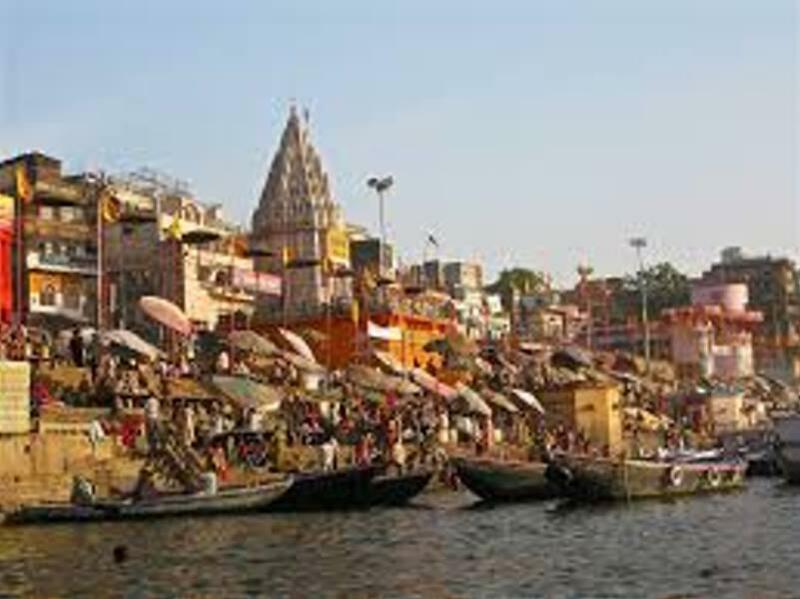 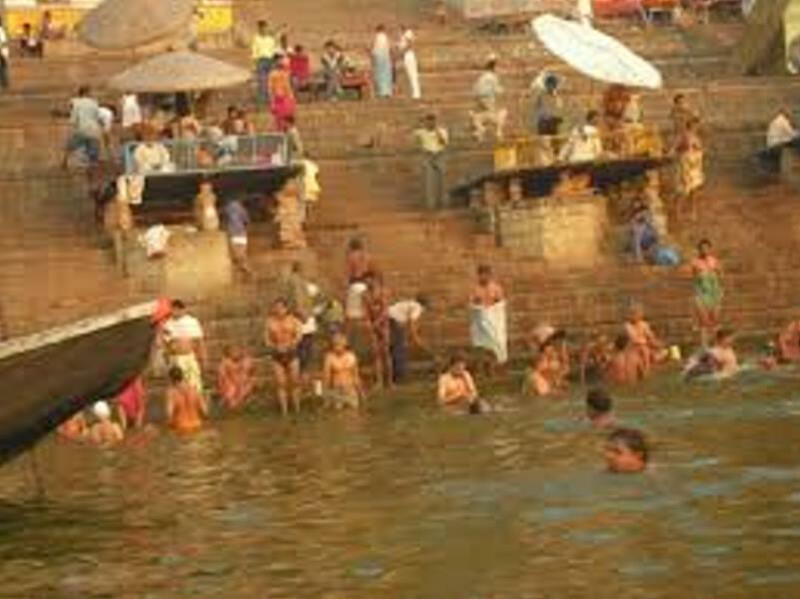 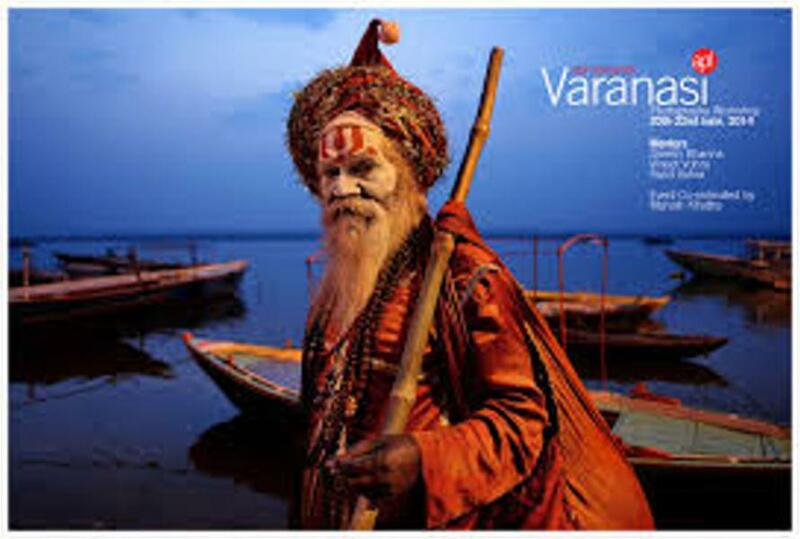 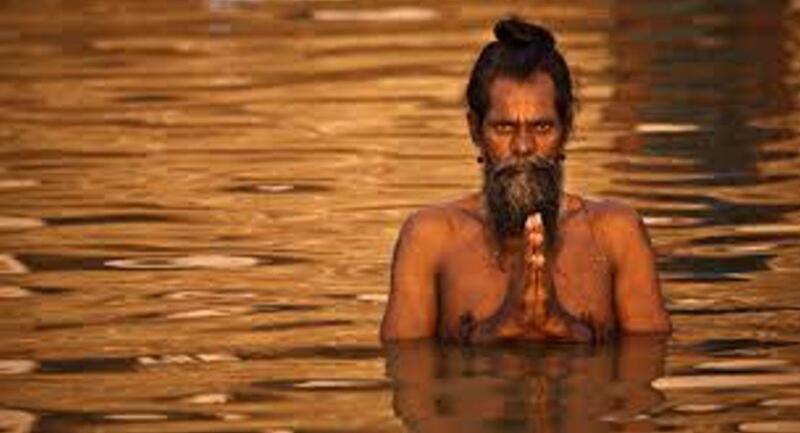 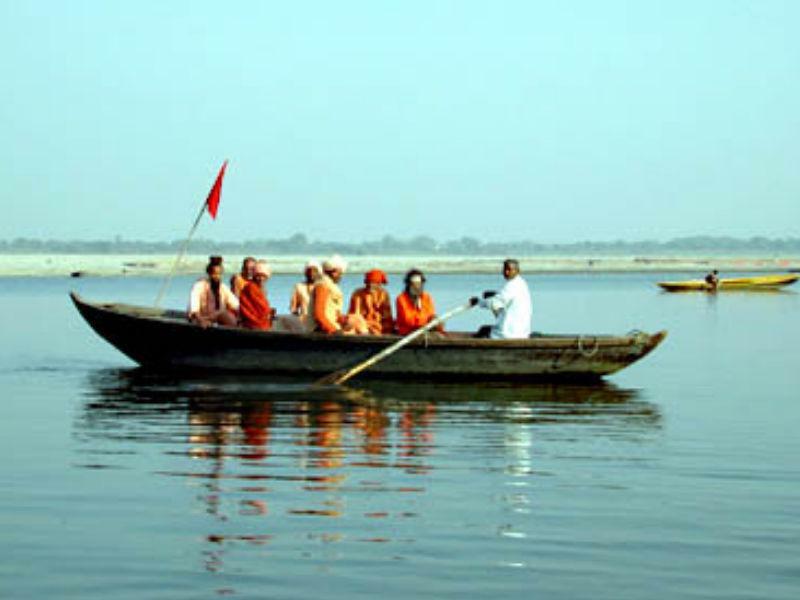 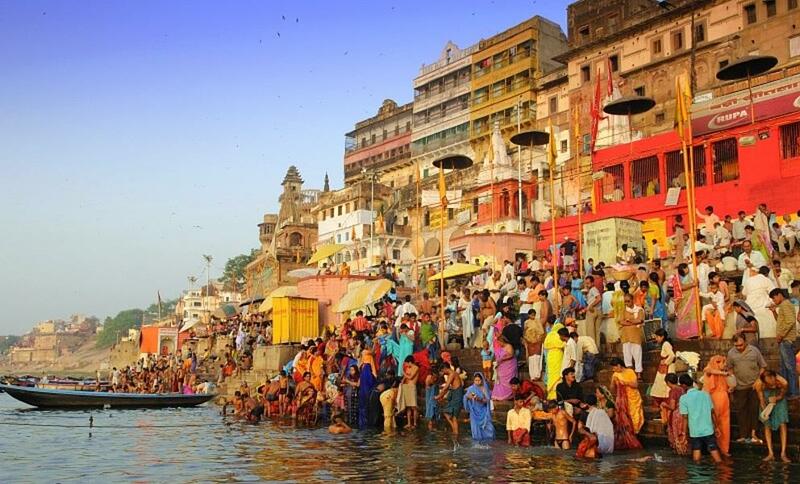 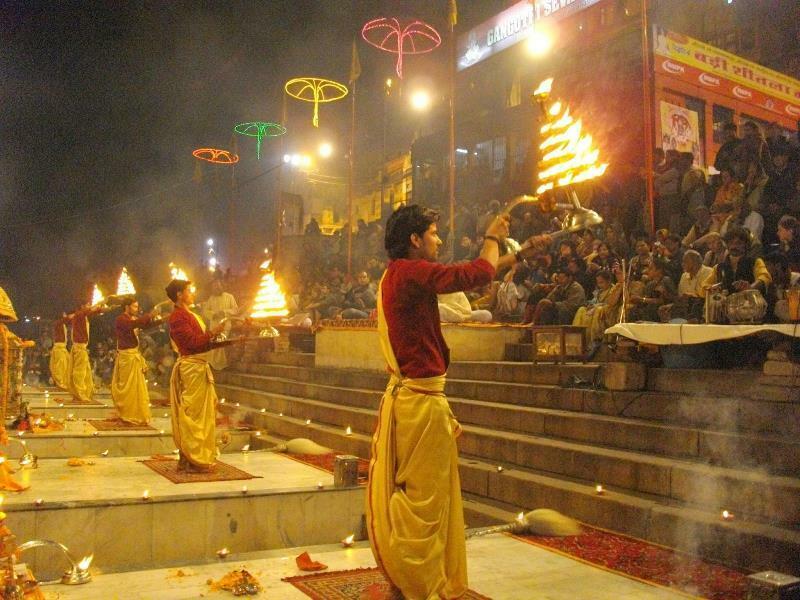 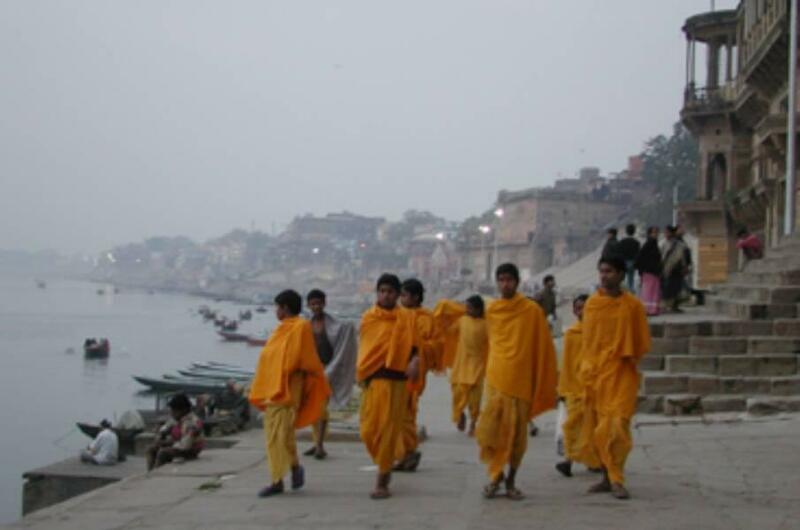 The culture of Varanasi is closely associated with the Ganges. 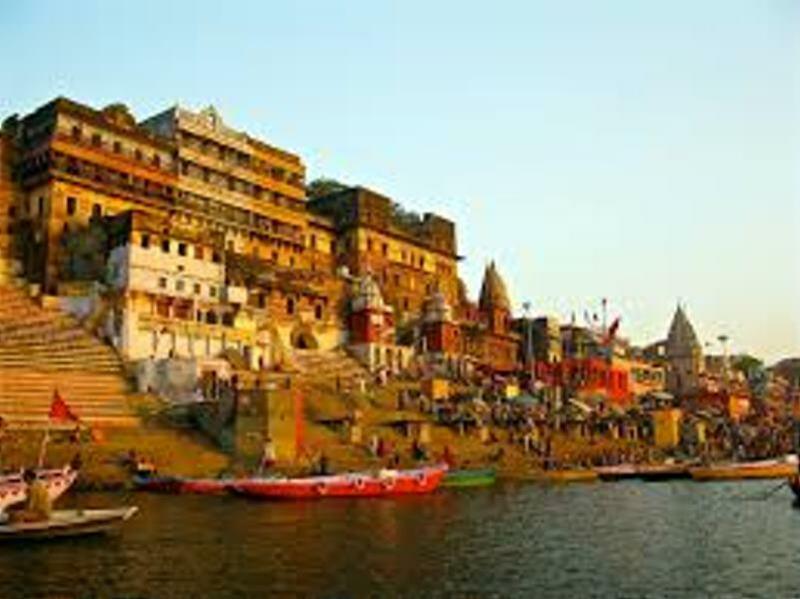 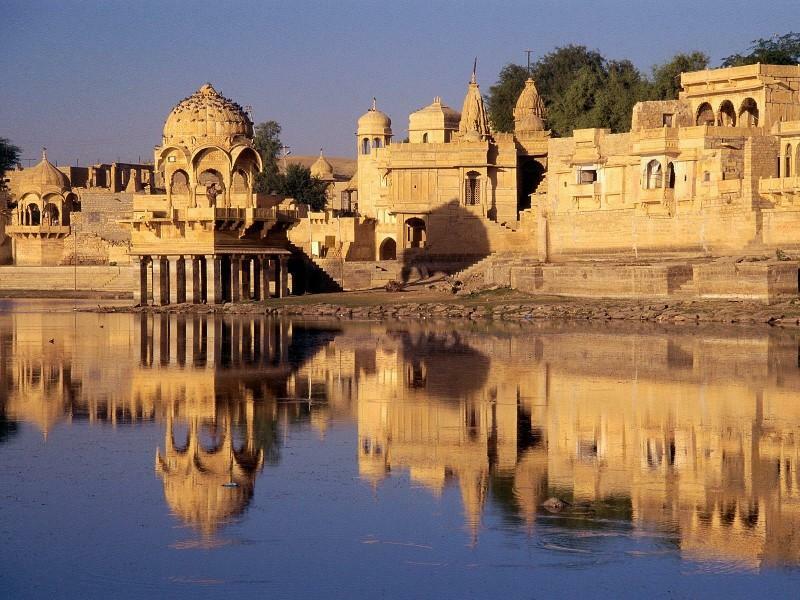 The city has been a cultural centre of North India for several thousand years, and has a history that is older than most of the major world religions. 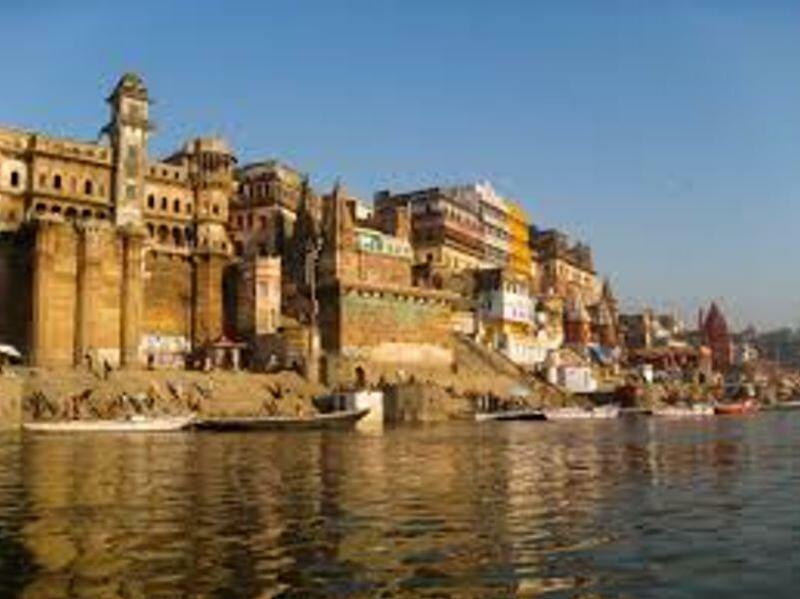 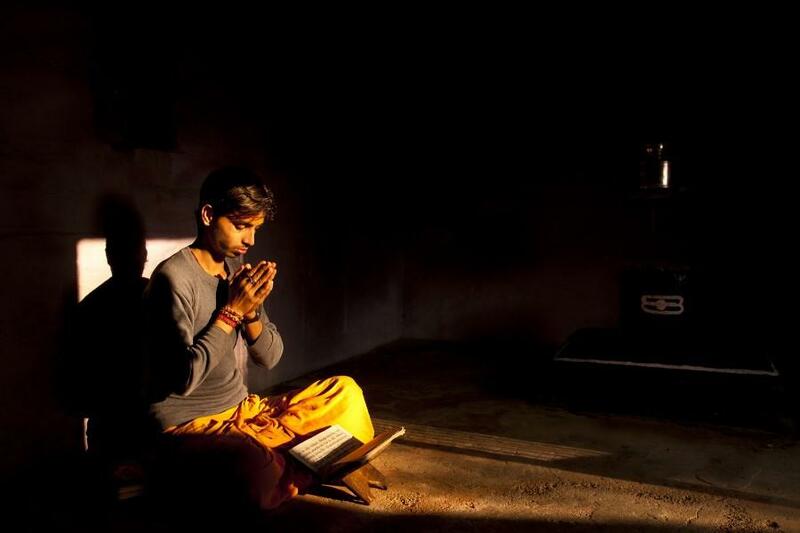 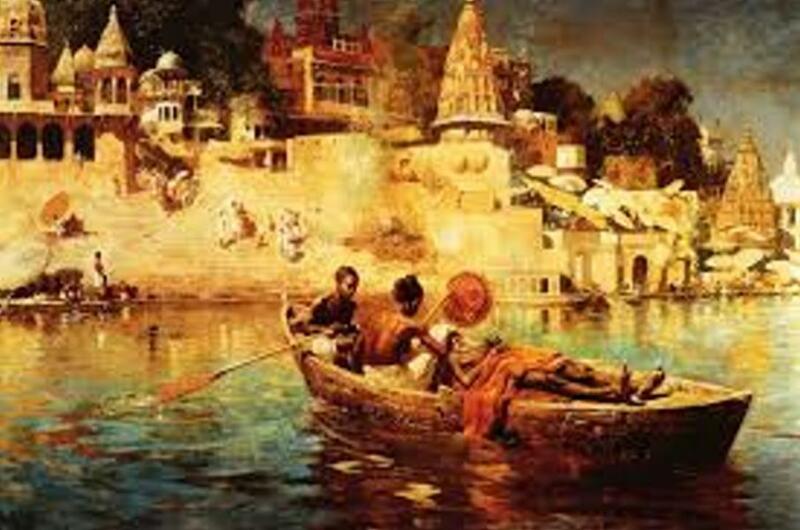 The Benares Gharana form of Hindustani classical music was developed in Varanasi, and many prominent Indian philosophers, poets, writers, and musicians live or have lived in Varanasi. 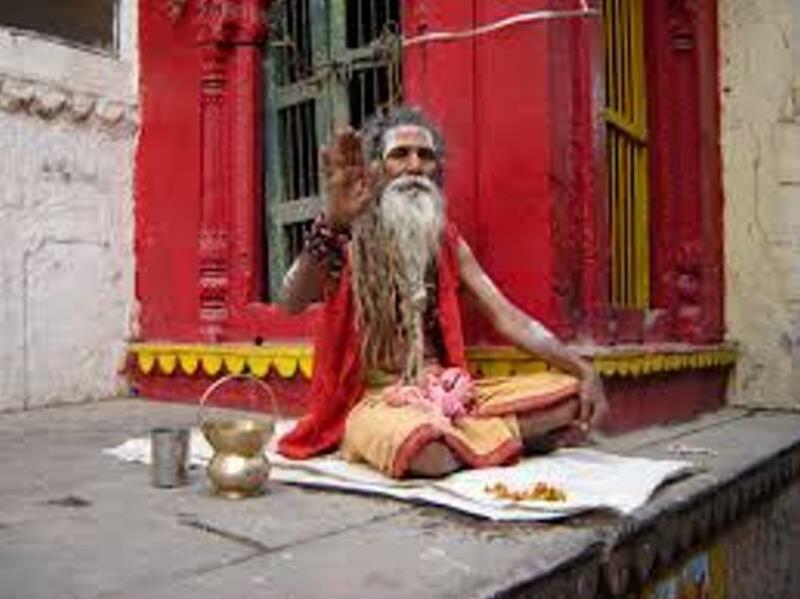 Gautama Buddha gave his first sermon at Sarnath, located near Varanasi. 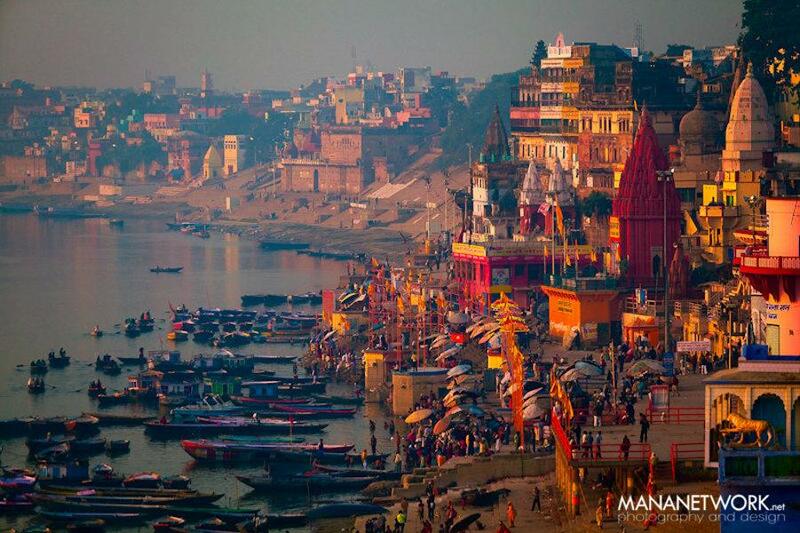 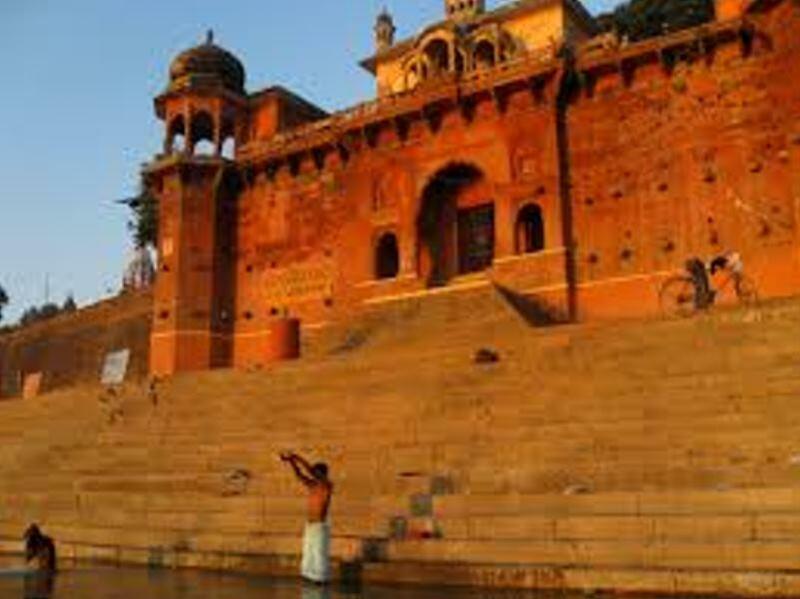 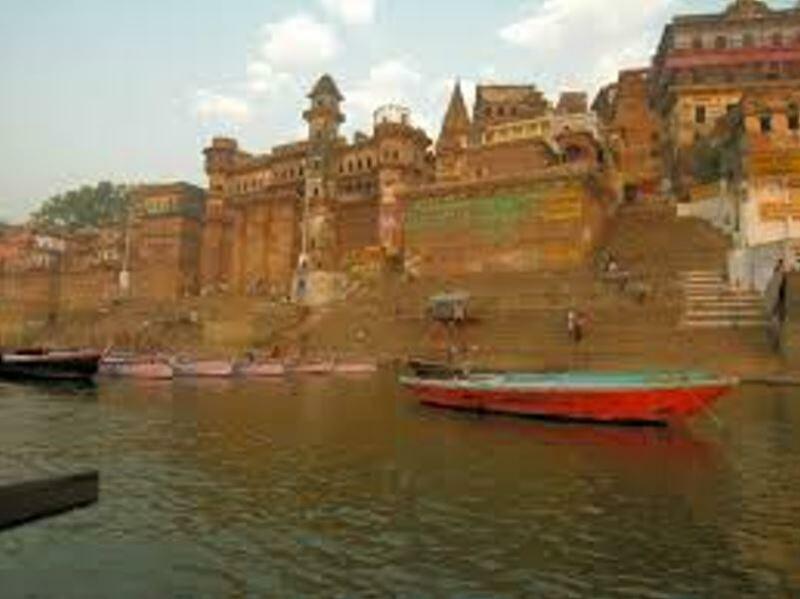 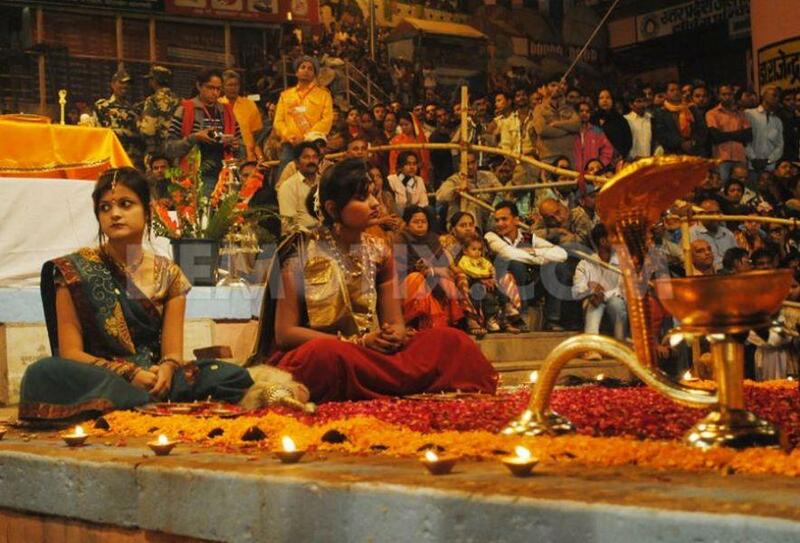 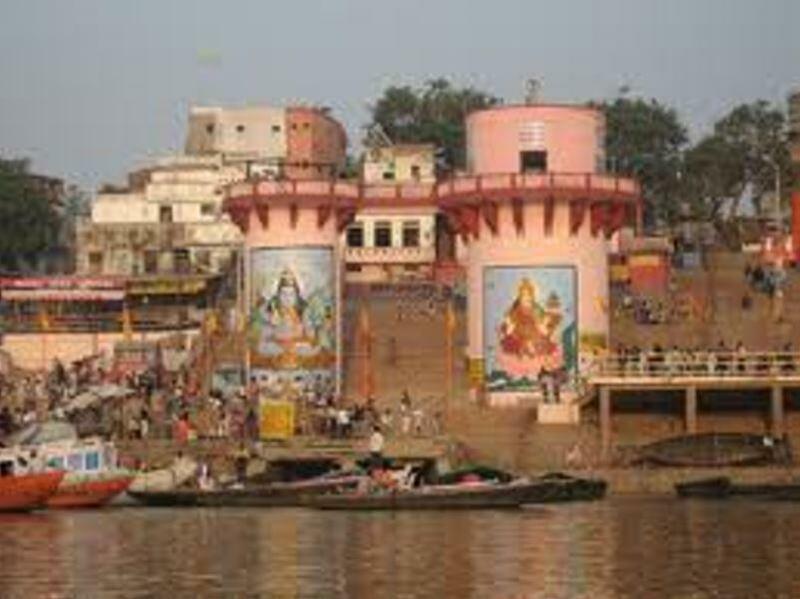 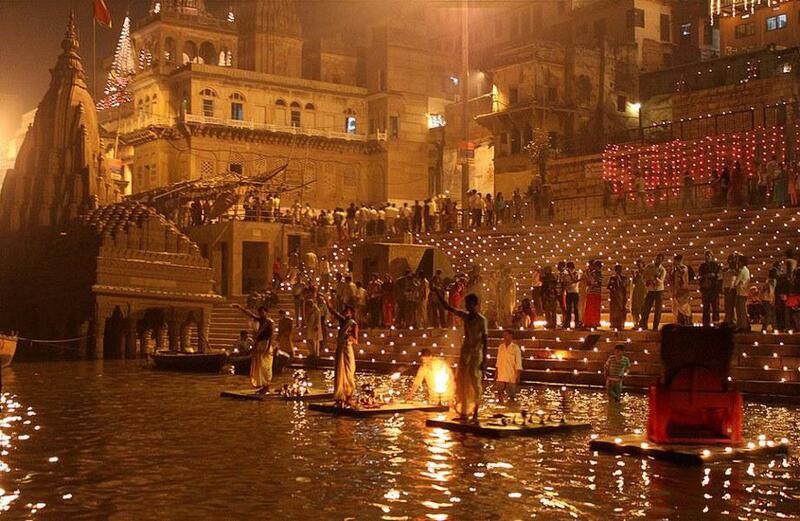 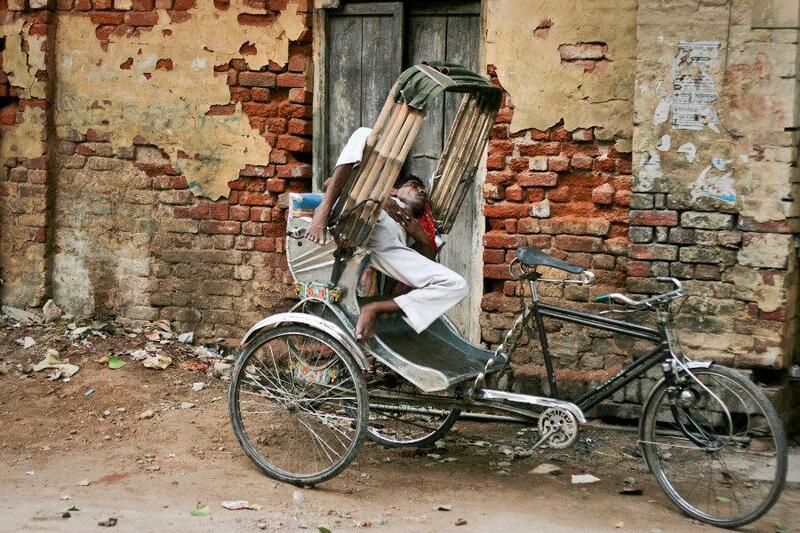 Varanasi is the spiritual capital of India. 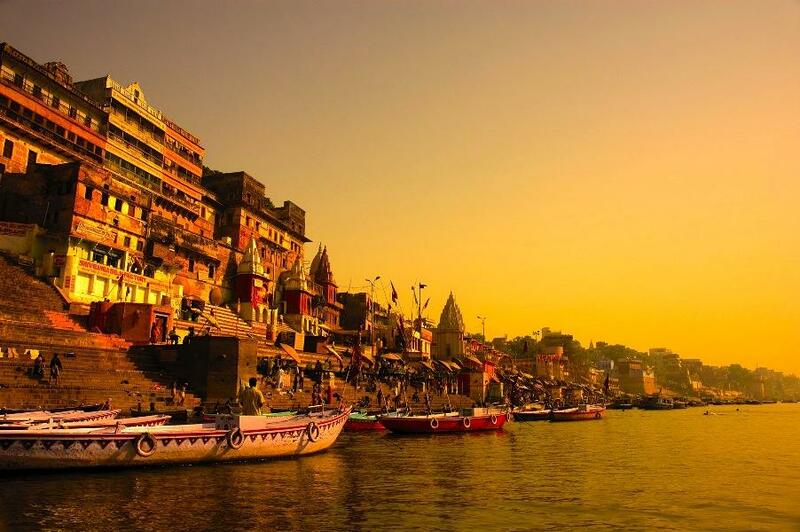 It is often referred to as "the holy city of India", "the religious capital of India", "the city of Shiva", and "the city of learning". 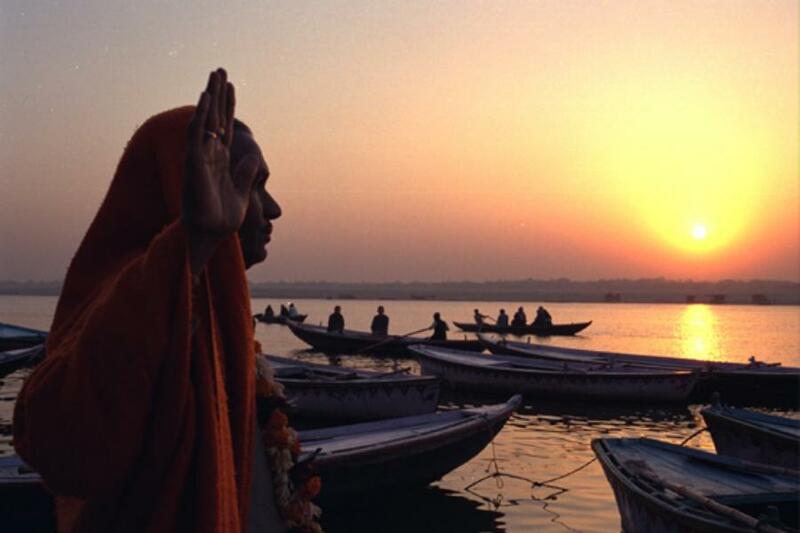 Scholarly books have been written in the city, including the Ramcharitmanas of Tulsidas. 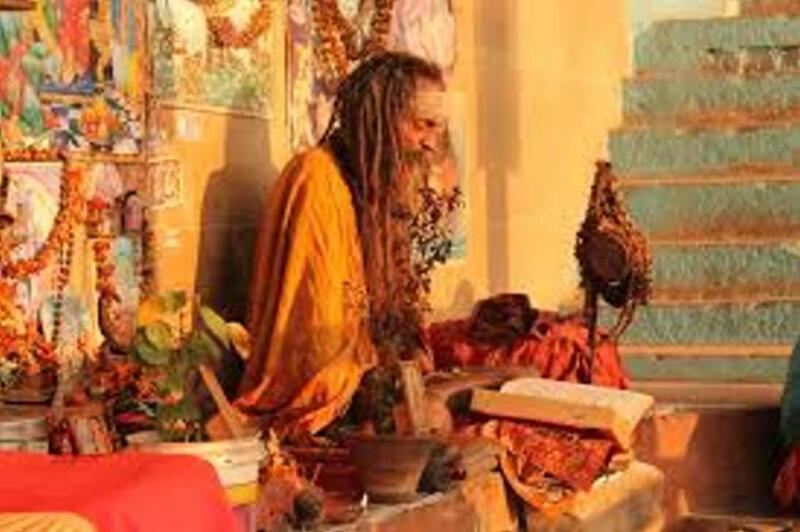 Today, there is a temple of his namesake in the city, the Tulsi Manas Mandir. 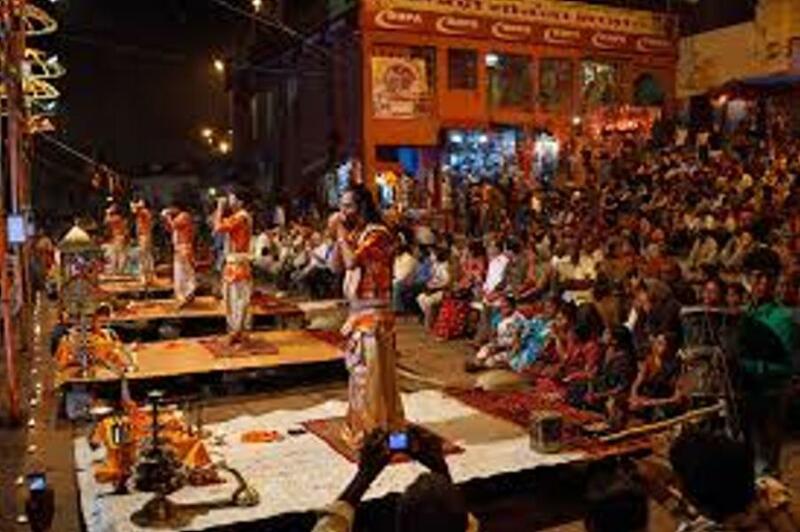 The current temples and religious institutions in the city are dated to the 18th century.